Billy Stark, who served as assistant to Celtic manager Tommy Burns between 1994 and 1997, believes that the current incumbent, Ronny Deila, was ill-advised to repeat last season’s public declaration of his treble ambitions. 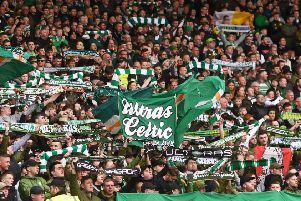 With the Rangers newco forced to begin again in the bottom tier following their descent into administration and liquidation in 2012, Celtic have been unbackable favourites to win the title for each of the last four years and they receive little credit for finishing in pole position. However, Stark still argues that Deila ought to have kept his own counsel when it came to talk about completing a clean sweep of domestic trophies, something no Celtic manager has achieved since Martin O’Neill in 2001. The Norwegian and his players have conspired to turn what should have been a one-horse race into a close contest and that has further damaged his standing among supporters, the excellence of Aberdeen notwithstanding. Stark believes that Celtic will still go on to win their fifth consecutive championship but he is of the opinion that Deila should be more guarded in his dealings with the media. “You could say it’s the best and worst time to be Celtic manager because the focus changes a bit from winning the league to the European performances,” he said. “That hasn’t gone well and they’re carrying that baggage a bit. The pressure then carries on to making sure they win the treble. “I don’t think it was wise anyone talking about that. They should have batted that away and not got caught up in all of that. It doesn’t do them any good. “Maybe it was a wee bit of naivety from Ronny. I would have told the players not to mention the treble. You’re going to be asked about it but there’s different degrees to which you can talk about it. Celtic’s forthcoming Scottish Cup semi-final tie against city rivals Rangers provoked memories of Stark’s baptism of fire in the fixture almost 30 years ago. Having been signed from Aberdeen by Billy McNeill that summer, Stark, a prolific midfielder whose ability to ghost into goalscoring situations saw him notch 13 times during that double-winning centenary season, required only four minutes to slot home the only goal of the game from a Mark McGhee cross. The boyhood Rangers fan was also the victim when, clutching a boot which had come off, his stockinged foot was targeted by a lunge from Rangers’ player-manager Graeme Souness, who was subsequently sent off. Given his subsequent experience in the technical area with Burns, Stark can just about understand what provoked that moment of madness. “I actually think Celtic supporters were more pleased with me for Graeme being sent off than they were for the goal,” he said. “Graeme has said this himself. He was a quality player and had done so much in his career but when he came to Rangers he admitted that he didn’t realise the issues he would have to deal with and how big a club it was. Stark can also claim to have handed Celtic striker Leigh Griffiths his opportunity to represent his country at Under-19, Under-21 and (as interim manager) senior level. “It’s no surprise to me to see him doing well,” he said. “I’m pleased for Leigh and I never had any bother with him in terms of his behaviour. “He was always a wee bit of a loose cannon in a way, though. You get some players who are stable and quiet and you never gave a second thought as to what they were up to. “Then there were other ones you had to keep an eye on. Once or twice, Leigh left a squad due to some circumstance at home but he always came back – and he didn’t drive; he used to have to get trains and buses and all the rest. l Billy Stark was speaking at a William Hill event. William Hill is the proud sponsor of the Scottish Cup.